Health Organizations receiving funding from the Department of Health and Human Services for Medicare or Medicaid services will need to comply with Section 1557 anti-discrimination law. Covered entities are encouraged to develop and implement a language access plan to ensure they are prepared to take reasonable steps to provide meaningful access to each individual that may require assistance. What this means for covered entities is that they need to submit an assurance that its health programs and activities will be operated in compliance with Section 1557. Furthermore, covered entities with 15 employees or more also need to hire one employee to coordinate compliance with the Final Rule and they must adopt a grievance procedure to handle appropriate due process standards for handling complaints. As a result of this Final Rule, we have seen an increase in need to become operationally ready to handle any requests that may include foreign language needs. The Department of Health and Human Services take into consideration whether or not a covered entity has implemented an effective language access plan. With that. it’s time to catch up on what these services are and how they could positively impact health outcomes. Covered entities are prohibited from using low-quality video remote interpreting services or relying on unqualified staff, translators when providing language assistance services. Over-the-phone interpreting services are typically intended for incoming calls or anything that cannot be easily planned for. Phone interpreting services such as provided by us provides near instant connectivity with a professional interpreter. 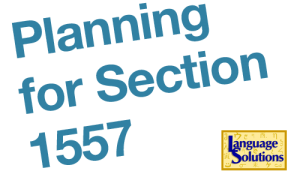 Setting up an account and having a protocol or process by which you answer foreign language calls is a simple step to assure compliance with Section 1557. Video Remote Interpreting (VRI) is a service by which the interpreter is called via video streaming services. This service has pioneered much in hospital settings where there is an immediate need for interpreting that requires both spoken words and visual interaction. From the HHS standard it is not clear what “low-quality video remote interpreting services” means. VRI has had gotten some negative press from our industry because it enabled low quality competition that didn’t serve the need of the patient or the doctor’s office. However, the service has matured enough to be a credible resource. In-Person Interpreting. The use of a professional interpreter on premise will likely be the preferred option for doctor visits. Objectivity is an important aspect of interpreting. While patients previously could get by using a family member, this is no longer a valid option. The role of an interpreter is to be an unbiased and objective conduit of information between two parties. Doctors and other healthcare professionals benefit from professional interpreting services as it guarantees that information provides is going to be interpreted exactly as it was provided. Typically you will want to work with an interpreter who has gone through training to handle themselves in a medical setting. This includes testing on knowledge of medical terms, facilitation of patient-doctor interactions and adhering to strict confidentiality (HIPAA), objectivity and impartiality standards. Non-discrimination notice in Karen compared in Word (garbled) and correctly in PDF format. Unless you have the correct font enabled, the language will not display correctly. Covered entities are required to post a notice of individuals’ rights providing information about communication assistance for individuals with limited English proficiency, among other information. In each state, covered entities are required to post taglines in the top 15 languages spoken by individuals with limited English proficiency in that state that indicate the availability of language assistance. The Department of Human Health has provided translation templates for these taglines and notices of nondiscrimination on their website. For the most part, due to the incredible language support of fonts like Arial Unicode, they provide resources that can be filled out using Word. However, there are several languages that have very specific font needs that may not display correctly. As part of your Language Access Plan, you may want to contact a reputable Language Service Provider to help you with written language needs. Health Plans also have various resources provided by HHS Model Documents. We wrote about these model docs before and the limited usefulness for organizations who do not have a managed translation workflow using the right technology. Need Help? 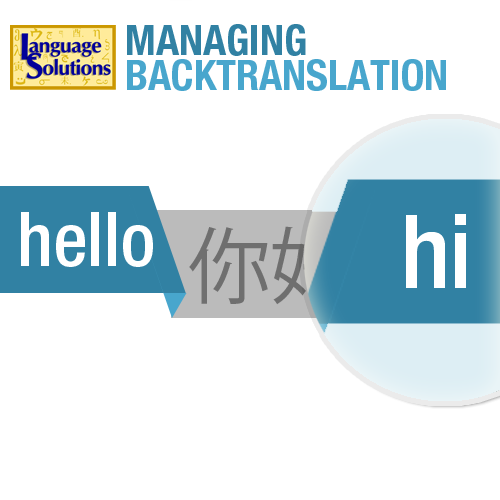 Don’t hesitate to contact us to develop your Language Access Plan.